By Claire Pelletreau / Facebook Ads, Marketing and Conversions Expert. Discovered by Player FM and our community — copyright is owned by the publisher, not Player FM, and audio streamed directly from their servers. Shanté Cofield is a former Division I athlete with a doctorate degree in Physical Therapy from New York State University. She is the creator of The Movement Maestro, a social media based company devoted to all things human movement related that has amassed an astonishing social following of over 43,000 people. She is the host of an equally successful podcast, Maestro on the Mic, which helps professionals in the movement industry turn their passion into a profitable business. In addition to building her empire, Shanté is a lead instructor for RockTape where she travels the world teaching other movement professionals such as chiropractors, massage therapists, and trainers on how to assess movements and use specific tools to help their clients. How Shanté gets paid by working for a company that sells mobility products while building The Movement Maestro. Why she was disappointed in her career as a physical therapist and how it led her to start her social media gig. How she connected with her tribe, and some of the best people in the world, on Instagram. The differences in working situations and rates between RockTape and the Cross Country Education Program. How she strategically manages her finances so she can continue to run her business. How Shanté grew her Instagram following to a whopping 40k. How she categorizes her Instagram posts on the platform by creating custom, branded hashtags. Why Shanté recommends focusing on one social media platform. The importance of identifying who your audience is and how it impacts your mindset around marketing and promoting your brand on social media. Why you should build your social media following on your own terms, the way you want, and stop comparing your success to others. How Shanté uses Instagram to promote her podcast. 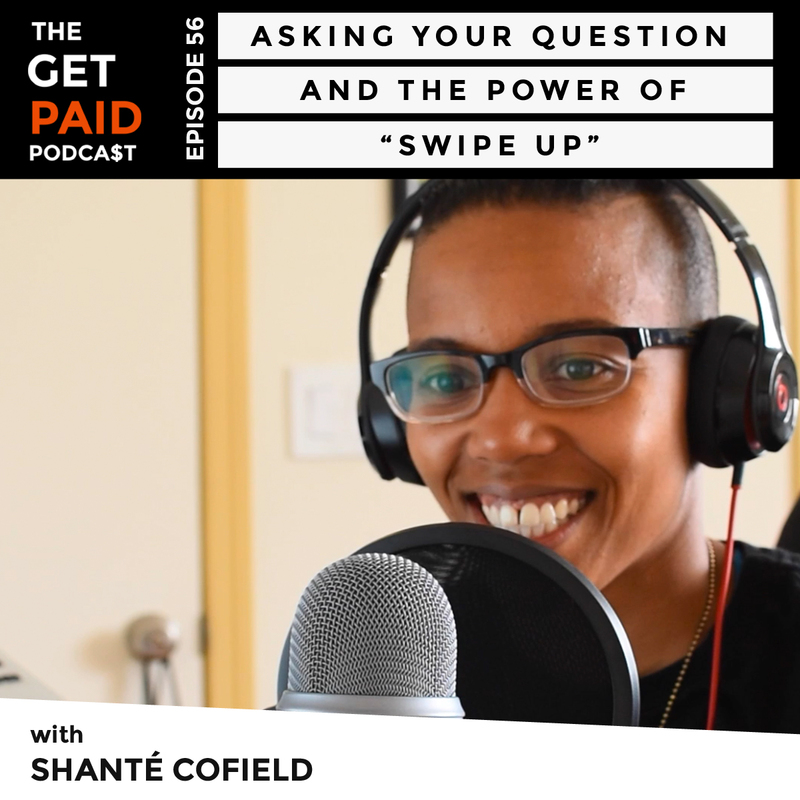 The post Shanté Cofield: Asking Your Question and the Power of “Swipe Up” (GPP56) appeared first on Claire Pelletreau. 66 episodes available. A new episode about every 26 days averaging 64 mins duration . Start listening to The Get Paid Podcast: The Stark Reality of Entrepreneurship and Being Your Own Boss on your phone right now with Player FM's free mobile app, the best podcasting experience on both iPhone and Android. Your subcriptions will sync with your account on this website too. Podcast smart and easy with the app that refuses to compromise.